First of all,we know that steel pipes are much safer,durable. Steel pipe can be used for different purposes,such as plumbing, automobile and industrial tools and so on. When steel pipe is used in construction, steel frames can offer more durability to resist harsh weather conditions like floods, tornados, earthquakes and hurricanes. Besides, steel construction can resist shock and vibration with ease. Steel has been frequently used in constructing railway or roadway due to its great strength and durability. Moreover, steel can easily handle high pressure which makes it just ideal for plumbing to resist water pressure for a longer period. Despite of being much thinner and lighter than other pipes, steel pipes come with immense carrying capacity and can handle high pressure safely. Second,apart from being safe and durable,steel pipe is highly flexible and highly resistant . With the features of highly flexible,steel pipes can be applied in variety of forms and ways. Steel can be molded in a variety of shapes and structures like pipes, galvanized tubes, structural steel tube, scaffolding tubes, fence tubes and black steel tubes, depends on the needs and likings of the user. Steel pipes are rinsed in anti-corrosive acids to make them rust free and ensure safety and durability. Due to its antirust quality, steel pipes are perfect for underground water supply systems. Steel pipe can easily carry water and different gases, thanks to great strength and suppleness. 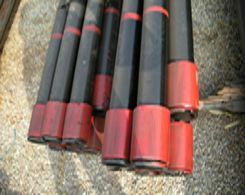 These pipes are more ductile, elastic as well robust, which make them survive tough conditions for a longer period. 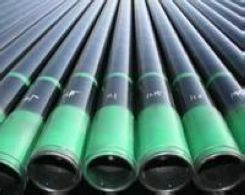 Steelpipes are made using materials with yield stresses that vary from 210 to 350 MPa and tensile strength that varies from 340 to 650 MPa, which bake them strong and flexible enough to withstand high pressures, temperature variations and asymmetrical twisting and complicated alignments. What's more,steel pipe is also economical and effective. In general, steel pipes are much thinner in diameter, in comparison to their counterparts made from other metals, to ensure better carrying capacity. Since steel popes are lighter and thinner,and they are available for a much less cost than copper and other pipes. So there is no need for you to worry about the price. If you are looking for high quality steel pipes in the market,you can visit http://www.xinlinsteel.com ,which is a professional steel pipe website,and there are a lot of best quality steel pipe products in the most affordable price. Thanks for reading!